Description: If you ever wanted to play the SNES port of PoP in all its 256-colour, 13-levels glory, then your wish has just been granted. It even contains the demo level in a playable state (currently buggy)! new comments and replays. comments: Very well done, I could enjoy playing the snes levels in a PC mod... Just to say, there's a glitch in level 7. If you hit the skeletons more than 3 times, the game crushes. But to make the skels invensible, using CusPop, change the number of hit points to the maxium (I think is 255). 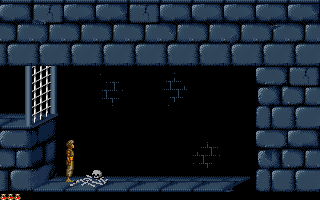 Even doing this, if you push a skel out of and edge, and falls off onto a flat floor, then the game will crash. apoplexy 2.6b (and newer) can fix this problem via its EXE screen. Just press the "Save" button on that screen. This fixes the problem because apoplexy automatically makes enemies immortal in all levels where the skeleton resource is in use (is checked). I am terribly sorry but I can't complete level 11. There is a long jump towards a gate with a falling tile just above it. Prince won't catch the door ledge even with good 'shift key' timing. Does anyone manage to do it ? The problem is that ending this trick on the lowest row does not work, because then the game automatically switches to the lower screen, and the trick fails. @nuzbunt - Actually there is a missing room bottom left of that gate. Using an editor (Apoplexy/RS), there has to be a room above room 12. 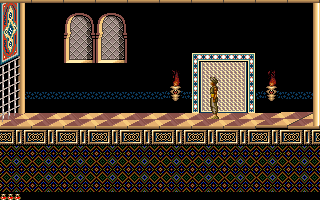 As Norbert mentioned about the lower screen switch - due to a lack of a room on the left side of room 3 (below & left of the gate), the prince can't catch the ledge. 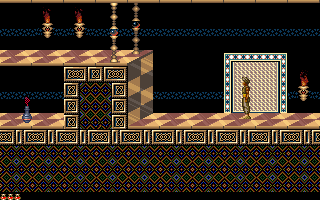 Of course this was also intended to imitate the original SNES level 18. Thank you both for your help !